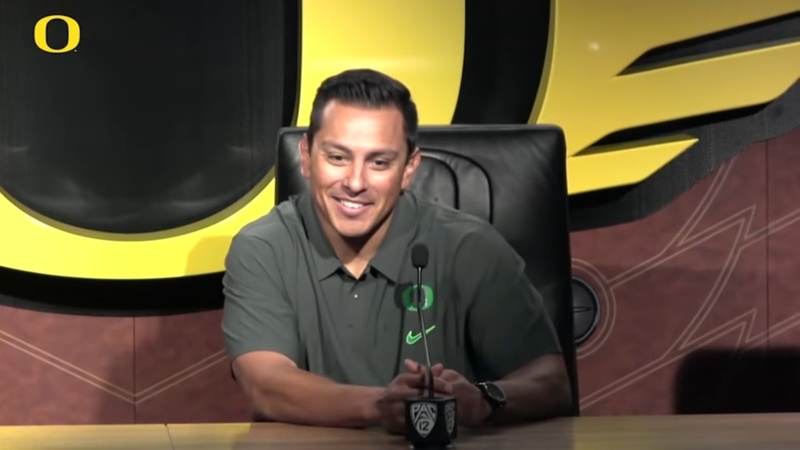 On Tuesday Oregon defensive coordinator Andy Avalos spoke with the media following practice. The Ducks have seemingly turned a corner defensively under the guidance of Andy Avalos. The scrimmage on Saturday in Hillsboro was another example of the steps this defense has taken. With some new faces and some new looks on D, the media asked about what Avalos is doing and how much of his defense has currently been installed to this point.